For their inaugural CMP report, Gartner analyzed the following CMPs: CloudBolt, Embotics, Flexera (or RightScale), HyperGrid, Micro Focus, Morpheus Data, Scalr, ServiceNow, and VMware (or CloudHealth). The quadrant breaks down into four categories: Leaders, Challengers, Visionaries, and Niche Players. Gartner arranges the CMPs on the quadrant based on their strengths, weaknesses, execution, and completeness of their vision. We looked at the report, available here, and picked out key takeaways on the CMPs and their features. Flexera’s RightScale rises above the other Leaders as the dominant CMP on the market. RightScale covers a wide spectrum of CMP functionality with a platform that balances several areas of cloud networking. Scalr, which also handles several key CMP functions, has begun to receive more attention with a larger marketing campaign. We expect that Scalr may climb further in the Leader division next year as its market presence grows. The two other Leaders, Embotics and Morpheus Data, are primarily on-premises software. On-premises CMPs are installed onto a user’s local server, allowing business more direct control over their cloud network. Embotics recently worked on improving their workload placement functionality and container support. They continue to be a leader in on-premises virtual environments, and Gartner noted high satisfaction with their customer service and support. Morpheus’s main focus is on DevOps and infrastructure and operations; they recently initiated a “deploy where you want it” model to give clients control over where their data center is located. Gartner’s two Challengers this year, VMware’s CloudHealth and CloudBolt, are both strong in separate areas of CMP functionality. Gartner’s surveys revealed CloudHealth to be particularly adept at cost management and workload optimization, and their recent purchase by VMware may help move them into the Leaders quadrant in 2020. CloudBolt focuses on easing the provisioning and orchestration handling through their CMP platform. HyperGrid is the sole visionary this year and a newcomer to the CMP field, opening in 2016. Gartner highlighted their responsiveness to clients and rapid growth in the past three years. They currently lack full Azure compatibility, however, which hurt their overall score from Gartner. ServiceNow, one of the two Niche Players on the quadrant, puts heavy focus into their analytic features. However, Gartner’s report notes that customers believe the platform’s functionality does not outweigh the cost. Micro Focus, despite being one of the oldest and largest companies, falls short on several aspects. The CMP lacks several key functions offered by other CMPs and its focus on EMEA countries has caused concern for its international customers. As this is Gartner’s first CMP Magic Quadrant, the criteria for evaluation is destined to evolve over time. For now, Gartner chooses CMPs based on their ability to provide CMP functions alongside data like revenue and number of customers. 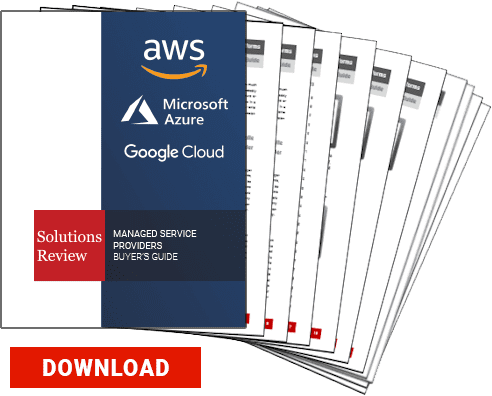 Gartner also requires that CMPs support Amazon Web Services (AWS), Microsoft Azure, and private cloud deployments in order to be considered. Gartner also name-dropped CMPs that did not meet their requirements but are still worth looking at in 2019. Two recent players to the CMP field, CoreStack and RackWare, both failed to meet the customer or revenue requirements. Depending on their success, they may be additions to next year’s Magic Quadrant. Noted software company Red Hat is also in the process of building up its CMP platform to provide multicloud management. In the report, Gartner expects that due to the demand for multicloud deployments rising, the amount of commercial CMP offerings will double by 2021. It’s easy to assume that 2020’s CMP Magic Quadrant will cover a much higher amount of platforms. However, since Gartner will no doubt refine their requirements for CMPs, some of 2019’s highlighted software might be cut out. You can read the CMP Magic Quadrant here. SaaS vs. PaaS vs. IaaS: What's the Difference?